Measures (inside ring) : 3/4" (20mm). Shape: Flat on the surface and round on the corner. 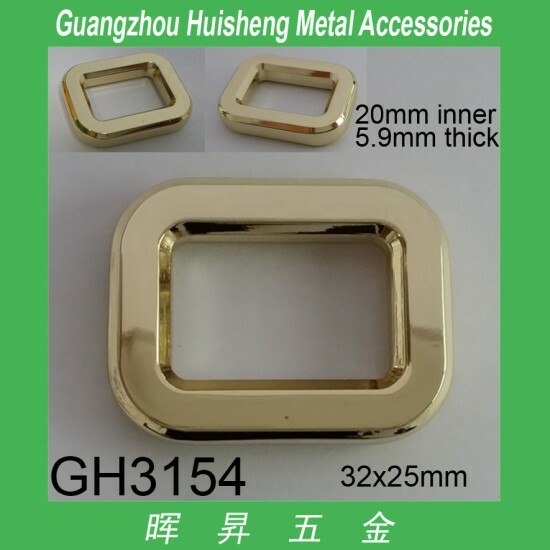 3) Color: nickle, brush nickle, brass, bronze, black nickle, copper, gold, brush anti brass, anti silver, chrome, other metalic color is available. 4) Available in customized sizes and designs. 5) Application: backpack, travel bag, handbag, suitcase, luggage, ladies bag, etc. 7) Logo printing services are available.